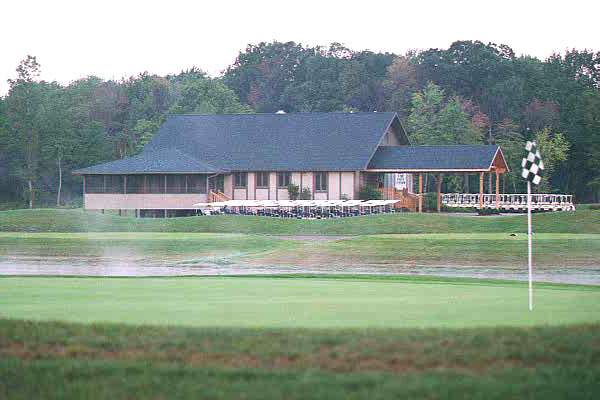 The 6,000-square foot club house was designed with a Bavarian motif. 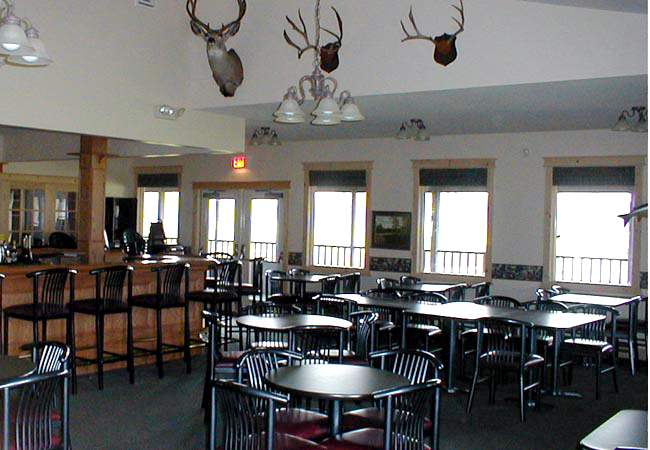 Browse the golf pro shop or relax in the restaurant/bar. Surrounded on three sides by a 2,000-square foot deck, which offers a panoramic view of the 9th, 10th, and 12th holes. 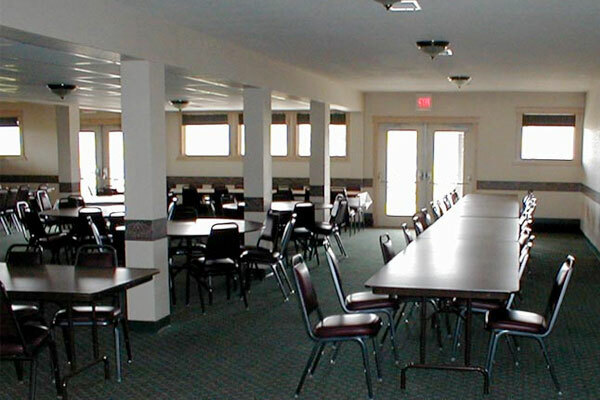 Our lower level banquet facility has seating for 150 guests for outings, meetings or seminars; with additional seating on the 30 x 58-foot private outdoor patio. Our comfortable, air-conditioned atmosphere, with three TVs for watching your favorite sporting event, is the perfect setting for a gathering of friends. Enjoy our delicious hot & cold sandwiches, including hamburgers, hot dogs and brats; chips; pretzels; candy bars; and fruit. Beverages include soft drinks, juices, coffee, beer, wine and liquor. Please ask at check-in about beverage cart availability. Our pro shop is stocked with everything you need including, balls, clubs, tees, rain gear, logo apparel, gloves, and umbrellas. 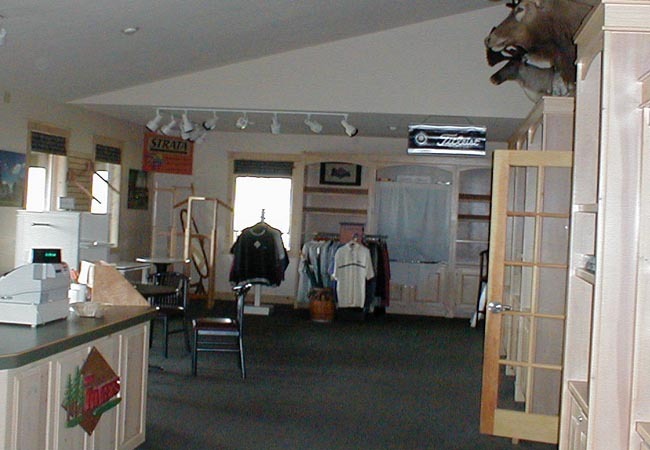 Among the brand name merchandise available are products by Titleist, Spalding, Cutter & Buck, and Tommy Hilfiger. 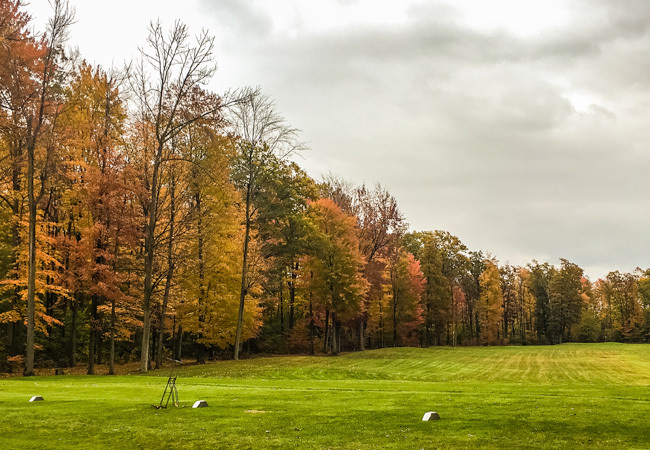 A full practice range includes spacious grass driving areas, laser measured yardage, and rubber matted tee stations. Individual, group, and package lesson rates available. Contact the Pro Shop for details.